You all know me and contemporary art…. We visited two different contemporary art museums on our sixth day in the lovely city of Rome and were accompanied by Shara Wasserman, Professor of Contemporary Art and Gallery Director, Temple University in Rome, and visiting Critic Cornell University in Rome. 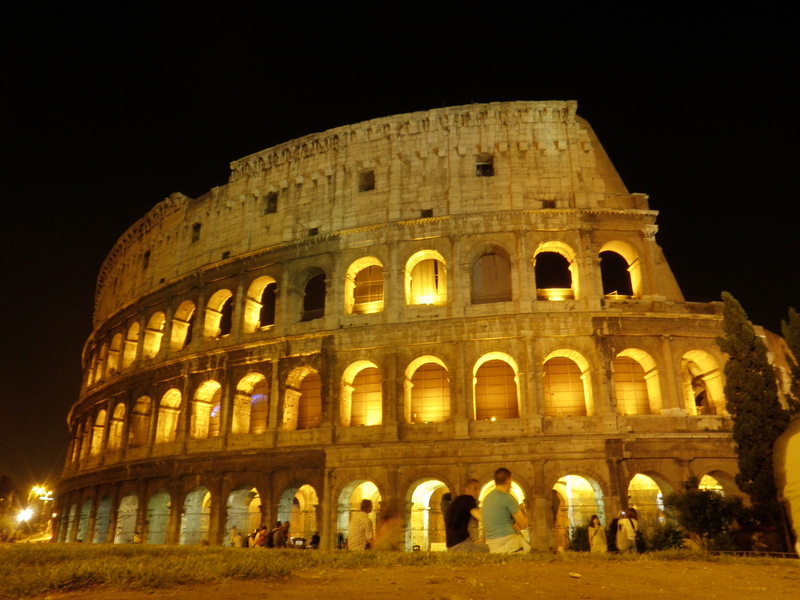 She was delightful, a very honest and witty guide to the city of Rome. I’m sure Charlotte (our professor) appreciated a little break from insane tour guiding. 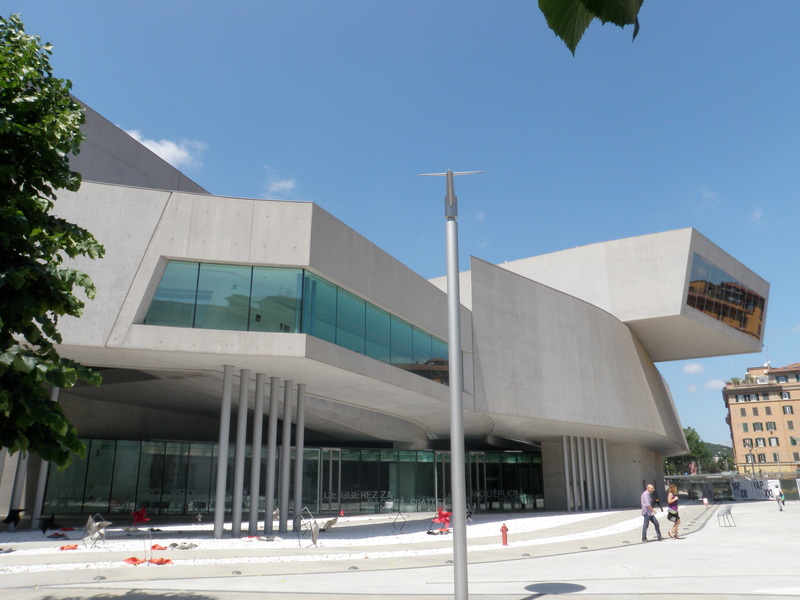 The first museum we visited was MAXXI (Museo Nazionale dell’arte dell XXI secolo) which was designed by Zaha Hadid. For those of you who don’t know who that is, she is an extremely well known architect, who more recently designed the performing arts structure for the Saadiyat Cultural District in Abu Dhabi which I wrote about earlier. Some of you may also know my thoughts on modern architecture and my feelings toward this building were not extremely favorable. 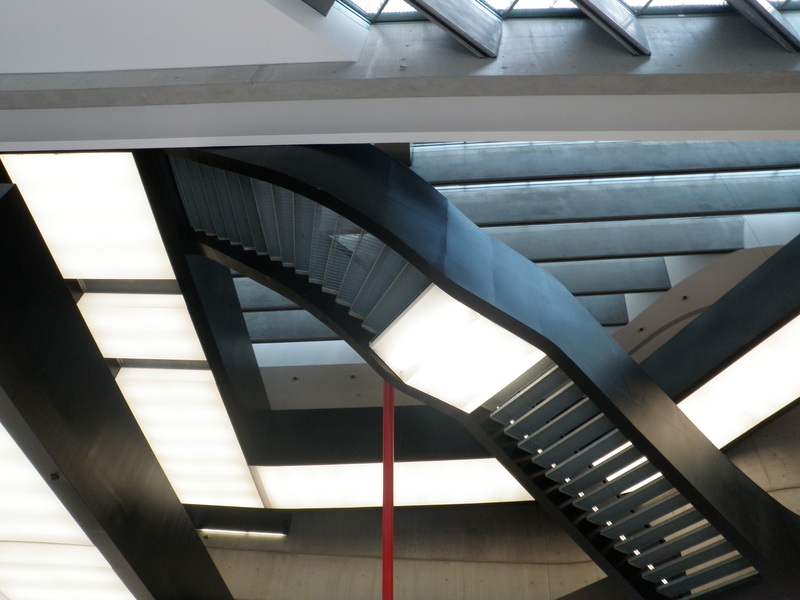 Modern architecture is dirty. Modern architecture contains a lot of interesting looking, but filthy little crannies. This structure had all open grated walkways and stairways built over lights so when you looked down all you saw was what seemed to be nearly impossible to clean spaces filled with dust, lint, and pennies. Another interesting point, there was NO seating built into the structure. Hmm. Another aspect of this museum that I found interesting was that the Director of the museum is a government employee from the Ministry of Culture, they do not come from a museum background. I’m beginning to find it more and more interesting (and challenging) to think about big company CEOs and business people taking over museums with no knowledge of how we roll, just the business aspect of thing. 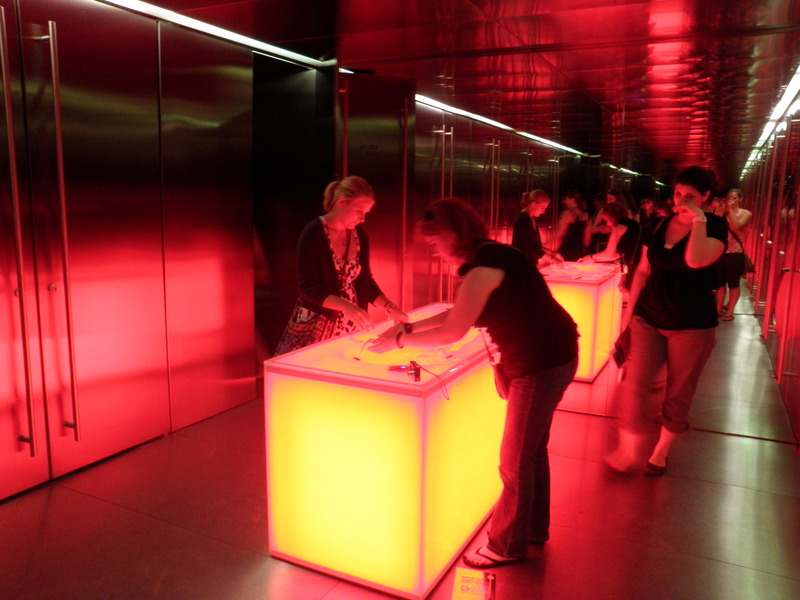 However, one of the exhibitions that was on display was particularly interesting, both the exhibit itself and peoples’ reactions to it. 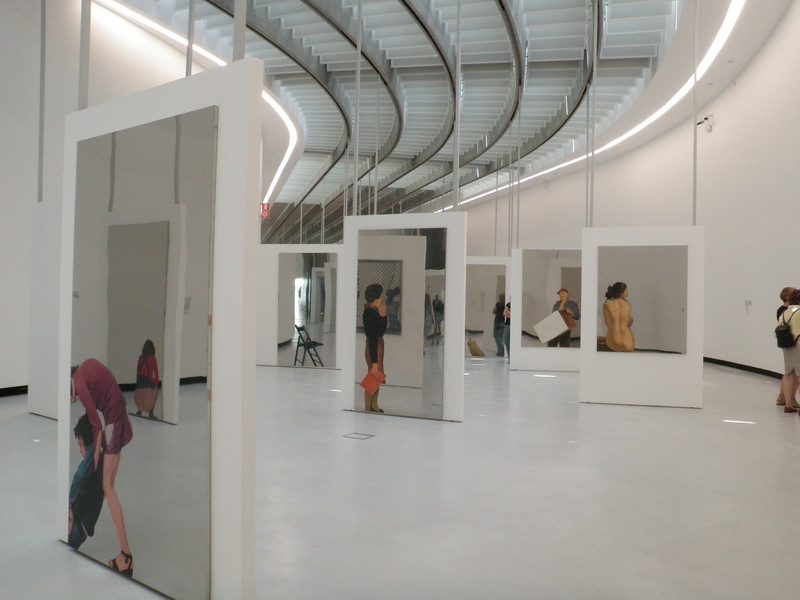 The exhibition was The Plexiglas and Mirror Paintings by Michelangelo Pistoletto. It was a collection of mirrors that had been painted on with various scenes/people as you can see in the photograph below. It was interesting to see people more interested in their own reflections and doing silly things in the mirror than actually paying attention to the art itself and the effect it created as a whole. On one end of the exhibition was a very large mirror that reflected back over several of the other mirrors, creating depth and an intricate interlacing of the stories depicted in each individual mirror. The thing I really disliked about this exhibition was that it was displayed in a very long rectangular exhibit space and though the mirrors were placed seemingly at random throughout the room, the text panel for each was on one of the room’s walls. They were quite distant from their respective works. No good. 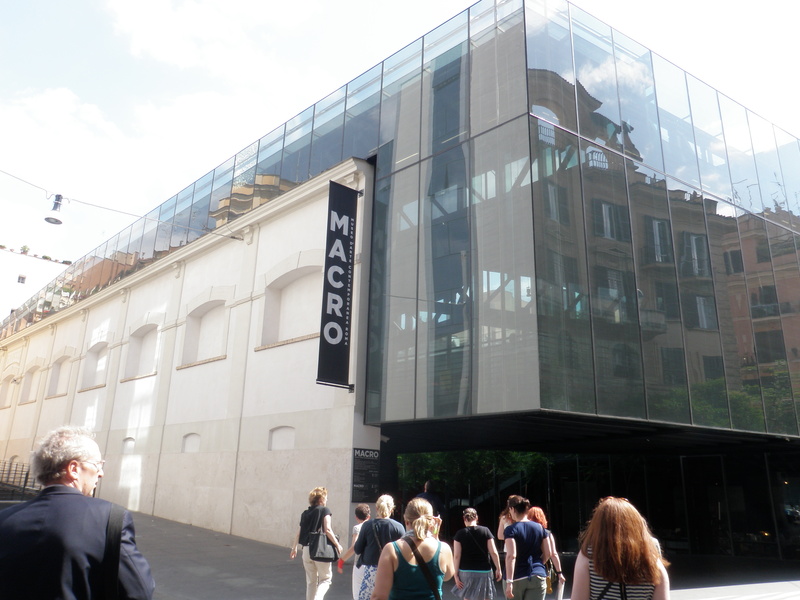 Second we went to MACRO (dell’Arte Contemporanea Roma), architecture by Odile Decq. 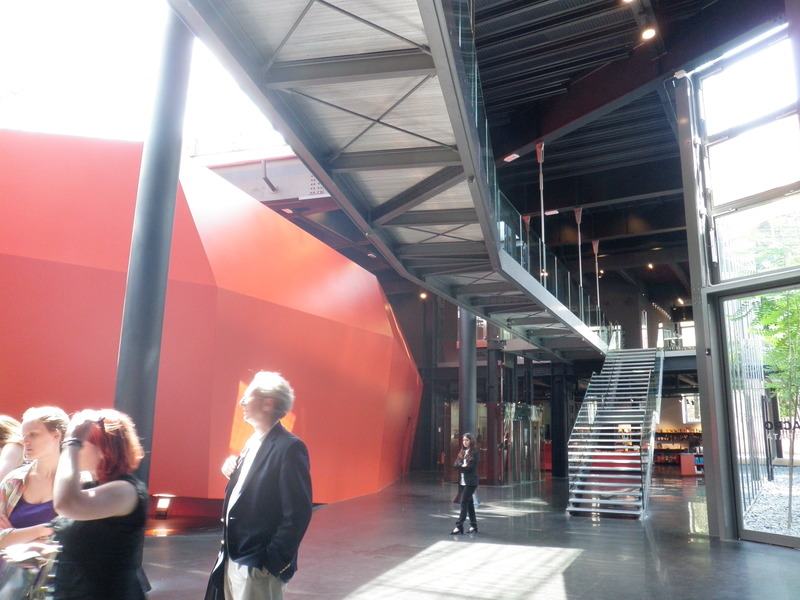 Again, very modern and you can see some similarities between the inside of the buildings. 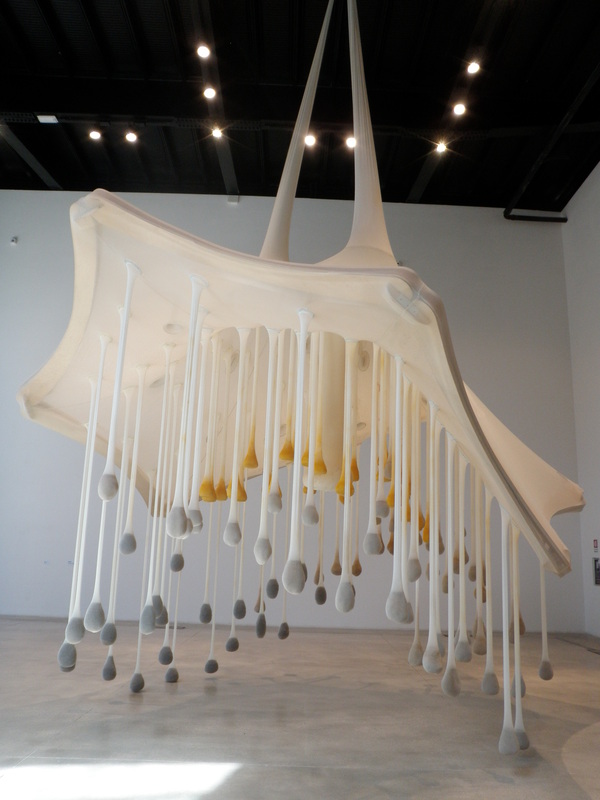 One piece of art here that I found particularly interesting was by Ernesto Neto called When Nothing Happens. See the photograph but it was this incredible hanging THING. The hanging sacks were filled with various spices including black pepper, cumin, cloves, ginger, and turmeric. Not only did it smell lovely but the colored spices also made the sculpture that much more interesting. 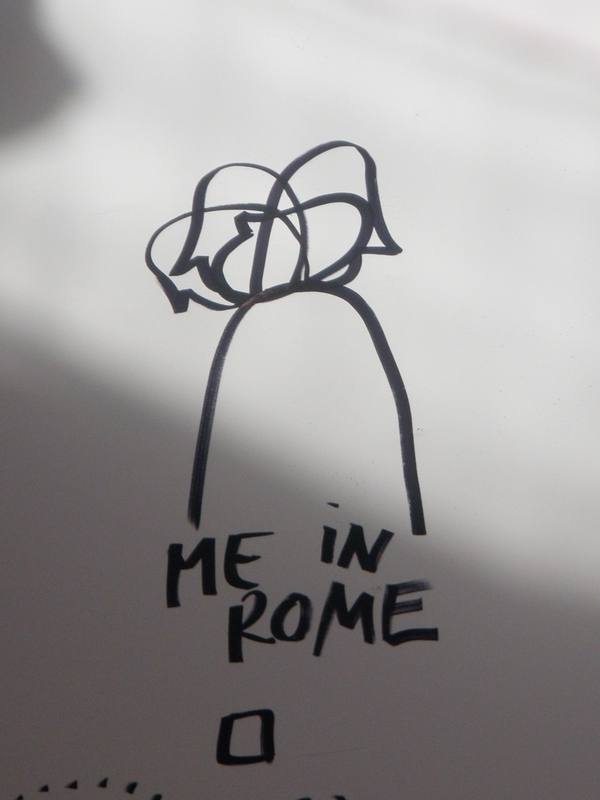 This little drawing on the wall I felt could have been a portrait of me by Dan Perjovschi part of The Crisis is (Not) Over. Drawings and Dioramas. Also, MACRO had slam bangin’ bathrooms. Usually it is socially unacceptable to wield a camera in a public restroom…but we all did it anyways. We spent much more time in here than necessary. 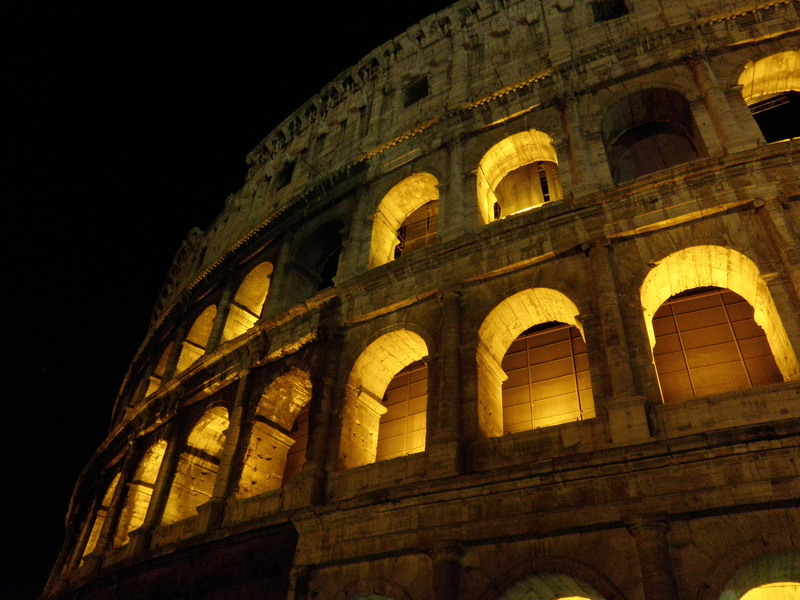 The evening brought us to the Colosseum at night. BEAUUUUUUUUUUUUUUTIFUL. I always wish there weren’t so many tourists everywhere I wanted to be a tourist… and enjoy myself peacefully.